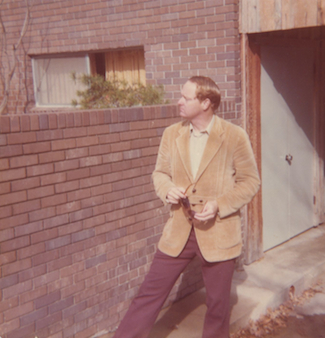 In March of 1969 Professor Richard M. Owsley urged me to apply for the position of chairman of the soon to be formed philosophy department at North Texas State University (now the University of North Texas). Previously, philosophy had been a small group of professors without a collective identity, shuffled from one department to another (English to Sociology to History; Tinkers to Evers to Chance). In June the university offered me the chairman/founder position. I accepted and arrived from Knoxville, Tennessee, in August, 1969 via exclusive U-Haul Transport. Like other humanities departments, philosophy was then regarded by the university as a service program destined to teach introductory courses and crank out massive student hour numbers. Realistically, then, our primary goal as a department had to be to maintain our professor / course / student hour ratios. We were allowed, however, to develop our curriculum, using it to create a minor and then a major in philosophy. It was a difficult balancing act—keeping productive numbers and expanding our reach into upper level courses. But, while remaining a small department, we managed to create and increasingly complete program, gradually adding courses and becoming competitive on the undergraduate level. Though we managed to grow by accretion, adding a sizable list of minors and majors and occasional new faculty, pickings were sparse. Every spring or early summer we would run out of stationary or postage and have to besiege the Dean of Arts and Sciences for additional funds to purchase them. Occasional grant monies would allow us to bring in speakers, the best known of which was Willard Van Orman Quine. In the mid-1970’s the Dean of the Graduate School told us that the legislature would allow us to award a master’s degree in philosophy. We would have accepted, but we were told that the university would give us no more than one hundred dollars to support the new program. This would pay part of the cost for a brochure advertising the degree. We declined, urging the dean, before dispensing this largess, to come up with money for letterhead and postage. It was not until Max Oelschaeger joined us from the University of Texas at Arlington that we again seriously considered pursuing an M.A. program. Max had just published The Environmental Imperative (1977) while I had been working for years to establish a Big Thicket National Biological Preserve in Southeast Texas. Our Many discussions resulted in the determination to get a master’s degree in a field which until then had never existed as such: environmental ethics. The program, created in 1992, was for a time shared with the University of Texas at Arlington. 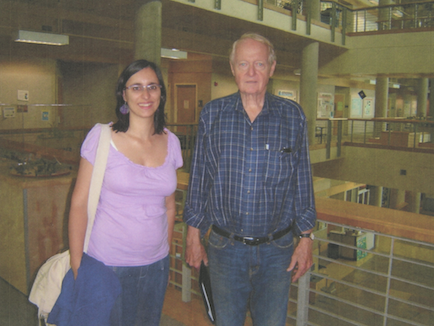 In 1990, we were able to bring to the department Eugene Hargrove, founder and editor of Environmental Ethics. In 1995, we were joined by Baird Callicott, author of numerous books on the land ethic and an international expert on the philosophy of its author, Aldo Leopold. Finally, in 2005 we were awarded a Ph.D. in philosophy and environmental ethics. We were then established—on the map—as a major center of environmental and philosophical thought. Quite an achievement, we thought, for a program which originally could not afford a graduate degree and had to scrounge for money simply to stay open. The preceding account of the fortunes of philosophy at North Texas is accurate. But it leaves out an important development. In the summer of 1984 the UNT campus was flooded by enthusiastic young Christians promising that their appearance would be followed in the next semester by a tsunami of faith. The tsunami did not materialize, but the sudden plethora convinced us that we should do more to make it possible for students to know about the history of their own and other religions, as well as the existence of theologies (ways of discussing belief) and antitheologies. The result—not easily achieved through state government, was permission to create a Department of Philosophy and Religion Studies (1989). Why is this a department of religion studies and not religious studies? Because the state legislature, terrified of transgressing the boundary between Church and State, opined that while students can not be said to study religiously, it is all right if they study religion. We were thus able to create a minor in religion studies. One can then look back on over forty years of philosophy at North Texas with a sense of valid satisfaction. What began as a straggling collection of professors passed like gypsies from place to place has culminated in a robust, thriving department, internationally known and able to pursue a many-level course of instruction from religion studies through classical philosophical thought through environmental ethics. In tandem with these, there is a proliferation of new centers and projects, which draw on the department’s strengths and apply them. Among these are the Center for Environmental Ethics (Prof. Eugene Hargrove), the Center for the Study of Interdisciplinarity (Prof. Robert Frodeman) and the Philosophy of Water Project (Prof. Irene Klaver). To these one must add the interdisciplinary program which connects and interrelates environmental sciences and environmental philosophy. This arrangement involves a speakers program as well as the taking of philosophy courses by environmental sciences students and the taking of environmental sciences courses by philosophy students. In conclusion, there are those who believe that philosophy is strictly an ivory-tower enterprise. The philosophy program at North Texas finds no reason to deny that the various stands of philosophy can pursue pure analysis of perfectly abstract speculative thought. But it all has, we believe, to be brought down to earth somewhere. That is, to borrow Plato’s insight, philosophers may wish to bask in enlightenment, but in fact, they need to be urged to return the chancy “cave” of the real world and enlighten both those who live there and the methods/concepts they use to deal with the creatures that live there. We believe that the Philosophy program developed at the University of North Texas does exactly this. In the fall of 2013, Pete Gunter will be teaching PHIL 3360 American Philosophy. You can download his course overview here. If you have any questions about the class, please email Dr. Gunter.